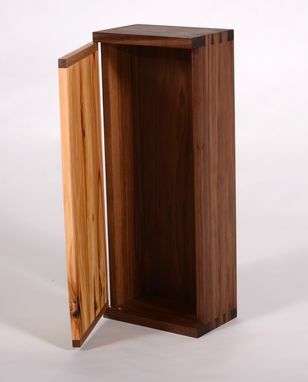 This small wall cabinet is part of the "Fruit 'n' Nut series. 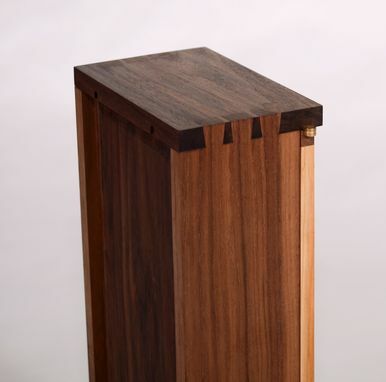 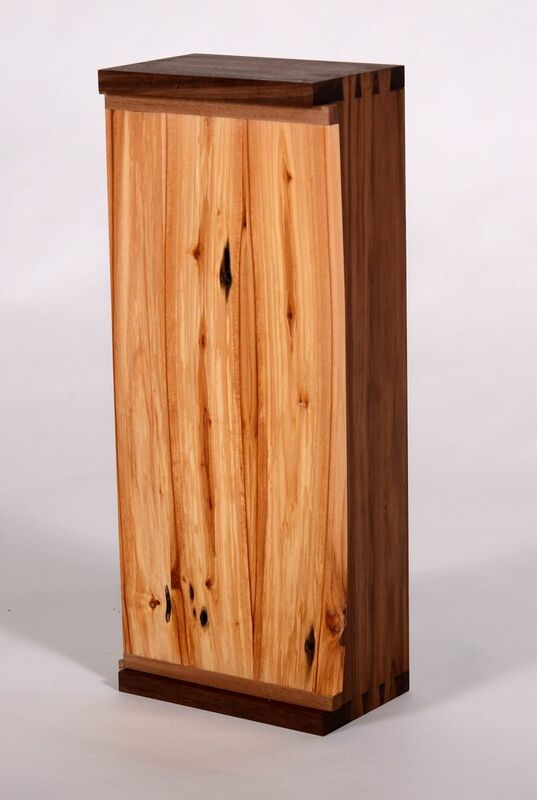 Mostly wall art, but also functional this cabinet features finely set knife hinges, hand-cut dovetails on all corners, and "waterfall" grain that wraps around the entire box. 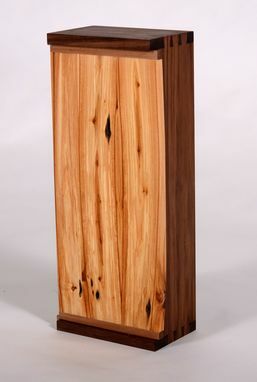 The body is walnut, with an apple and walnut door.